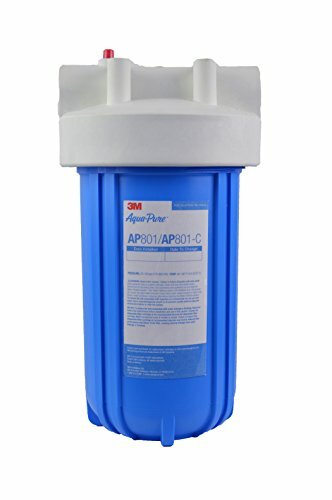 The Aqua-Pure AP801 Large Capacity Whole House Filtration System filters the water throughout your entire home. This system captures sediment, dirt and rust when using the AP810 cartridge and chlorine taste and odor when using the AP817 cartridge. This system and either of these cartridges help to provide cleaner, clearer, better tasting drinking water. Includes filter change-out wrench.